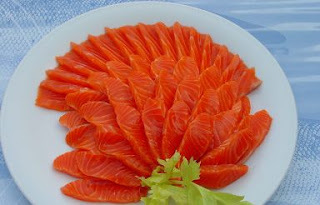 The unfortunate thing is that aside from indulging in an all-you-can-eat Japanese buffet (which will set you back a good $30-50), alarcarte options at restaurants are pretty pricey for just a few slices of fresh salmon sashimi. Let's use Sushi Tei as a quick benchmark - the restaurant serves a small plate for $8. At 5 slices a plate - we're looking at $1.60 per slice. As usual, let us breakdown the numbers for you. Assuming there are about 40 slices in the large packet, at $18/packet, we have a cost/slice of $0.45. This is approximately 4 times cheaper than having it at a Sushi Tei restaurant outlet; plus, you can literally have as many slices as you wish. 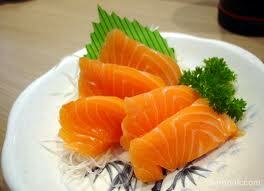 Besides salmon sashimi, Fassler is really a golden find for many other types of seafood. Atlantic cod, scallops, unagi, tuna etc... Trust me, the trip down there is really worth it. Just note that they only accept cash, so you have your wallet ready!